Plot - Ashby a retired CIA assassin has a few months to live and his neighbor Nerd Ed Wallis a high school enters into a friendship with him. A high school Ed Wallis has given a assignment to interview an old person then he find a man in his neighbor, Ashby a retired CIA assassin. This new connection leads to an unexpected journey of their life as Ashby deals with a terminal prognosis and Ed Wallis is adjusting life with his new mom. 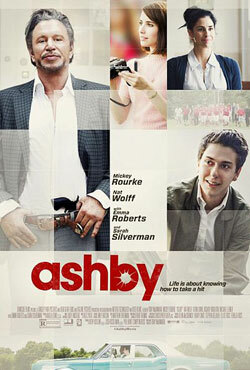 Awards & Nominations Won by "Ashby Movie"
Box Office Earning of "Ashby"